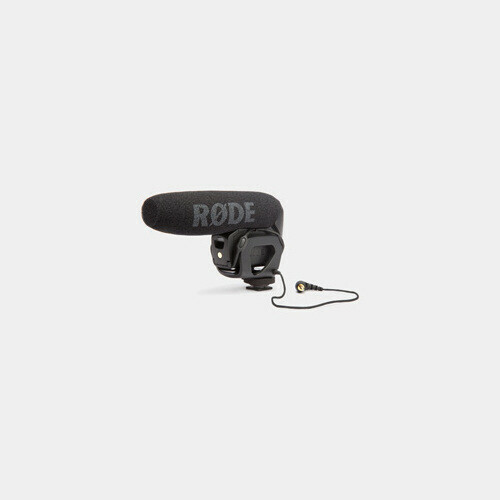 The VideoMic Pro from Rode packs the audio quality and features of the popular VideoMic into an ultra compact and lightweight design that's ideal for use with HDSLR cameras, camcorders, and audio recorders. 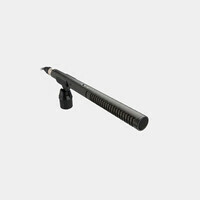 The microphone has a broadcast-quality condenser capsule with a supercardioid pickup pattern to capture audio from the front, while minimizing pickup from the sides and rear. 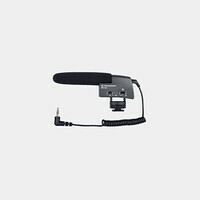 An integrated shockmount and foam windscreen minimize handling and wind noise to keep your recordings crystal clear. On the rear of the mic, you'll find a 3-way level control that offers -10dB, 0dB, and +20dB modes. There is also a 2-step high pass filter with 0 and 80Hz settings, letting you minimize the impact of low frequency hum, camera motor noise, and similar distractions. 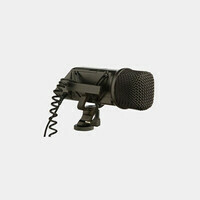 The mic has a standard camera shoe and a 3/8" threaded mount for easy attachment to cameras and boom poles. The 3.5mm plug is compatible with a wide variety of different cameras and audio devices. The VideoMic Pro operates for up to 70 hours on a single 9V battery.